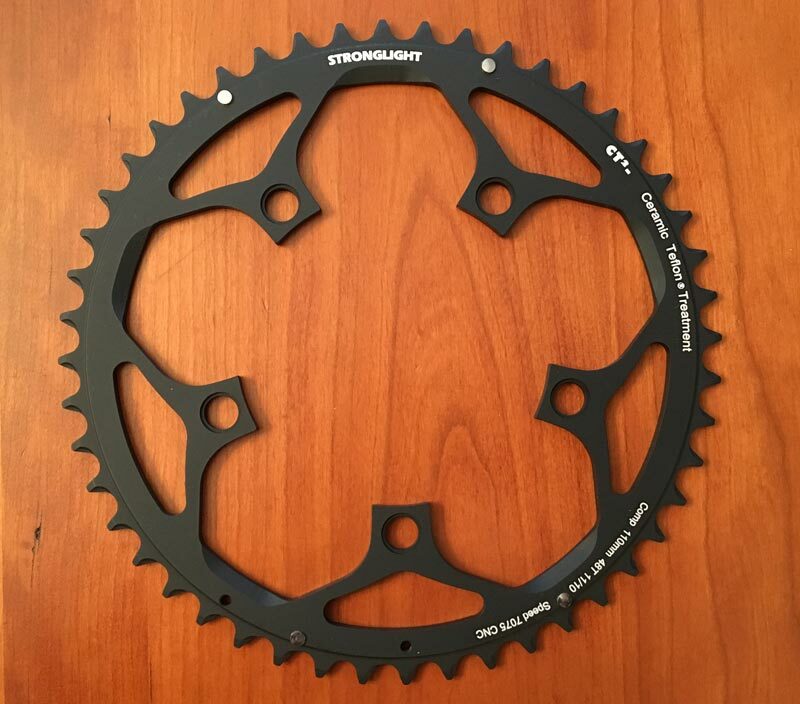 Stronglight SA in Saint-Etienne France makes high quality chainrings for their own cranksets, as well as cranksets from other manufacturers, such as Shimano, Campagnolo, SRAM, TA and others. 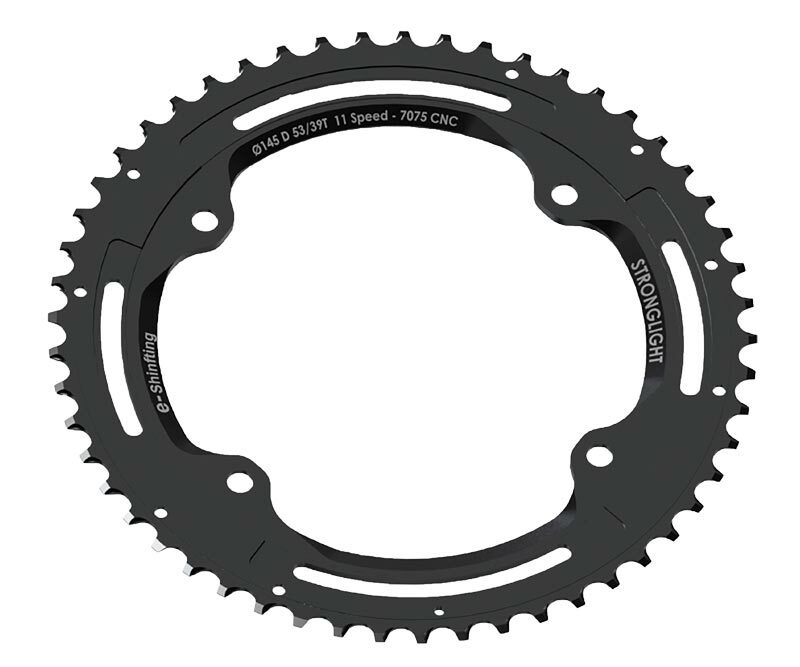 We stock a wide selection of their chainrings. 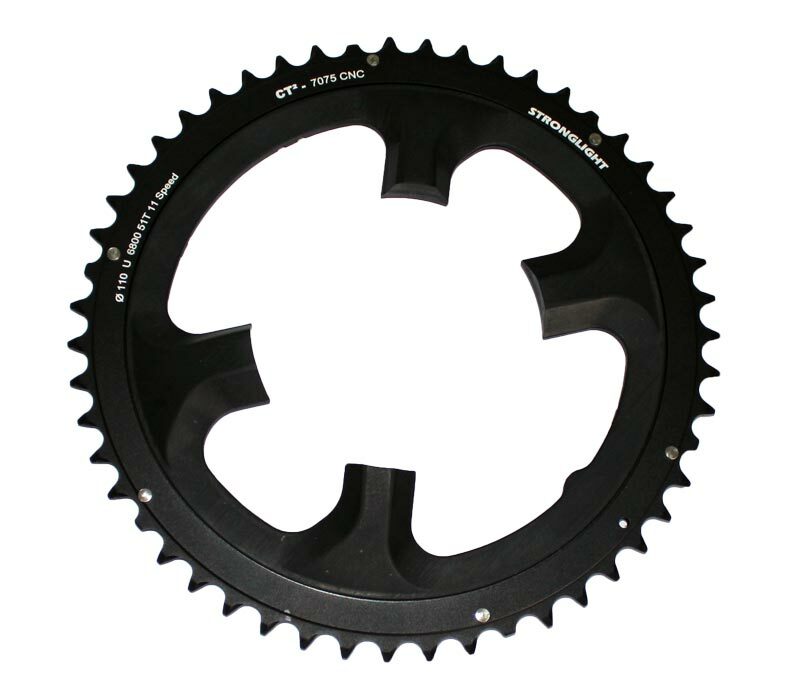 Many bikes come with gearing that's suitable for those chemically enhanced cyclists racing around Europe. 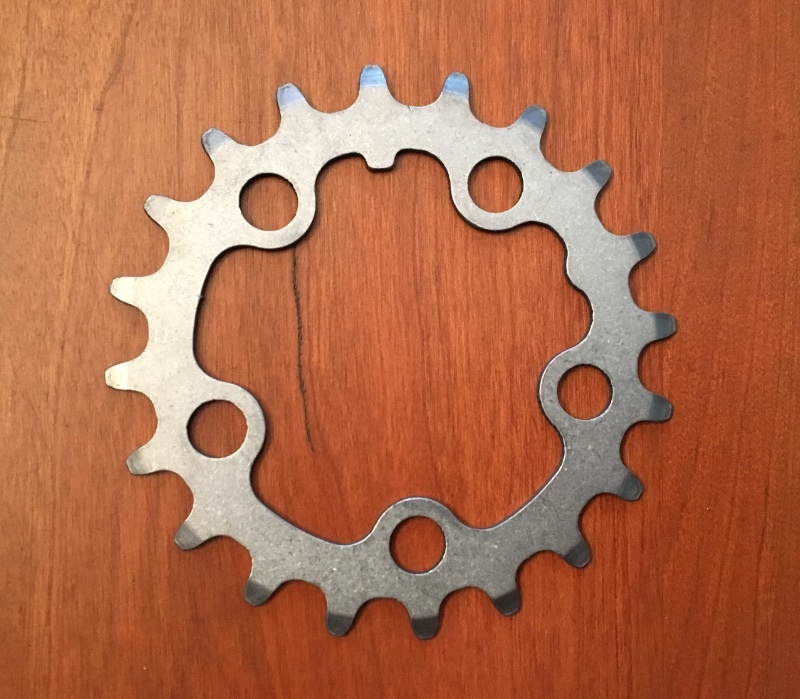 Then the rest of us sensible types are stuck with many gear ratios on our bikes that we simply never use. 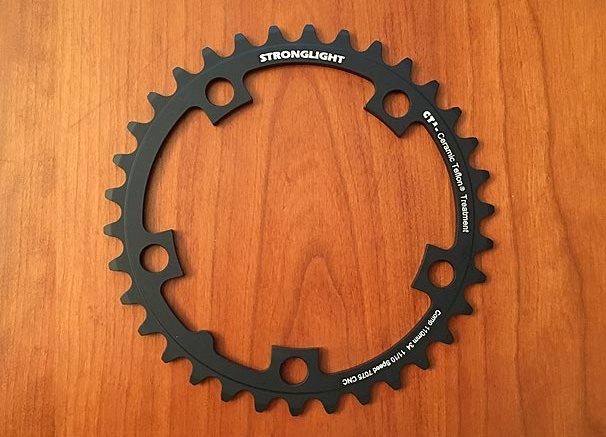 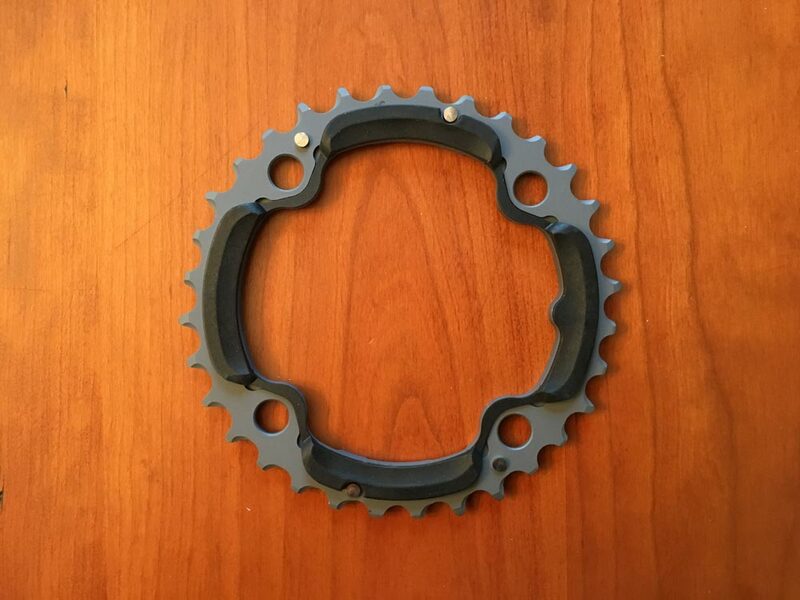 So while Stronglight makes the same standard chainring sizes that ship on modern bikes, they also offer many other sizes to suit the requirements of the rest of us. 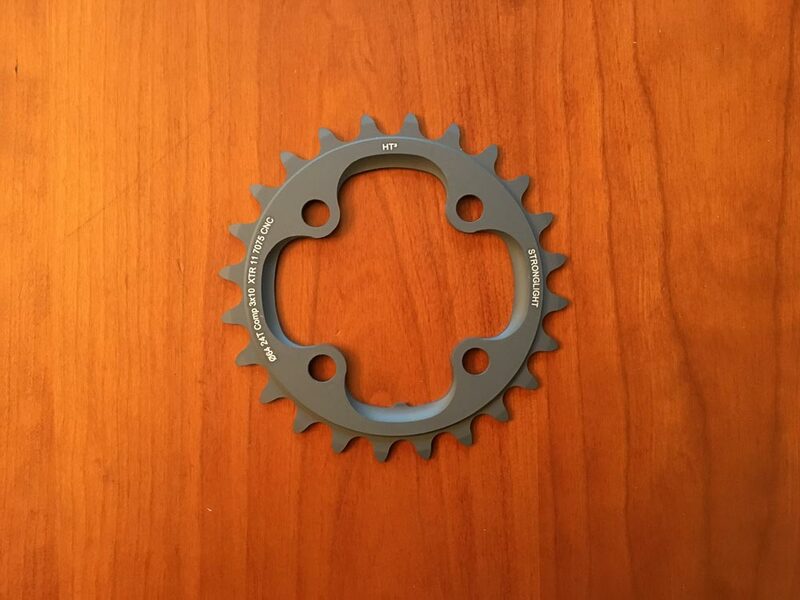 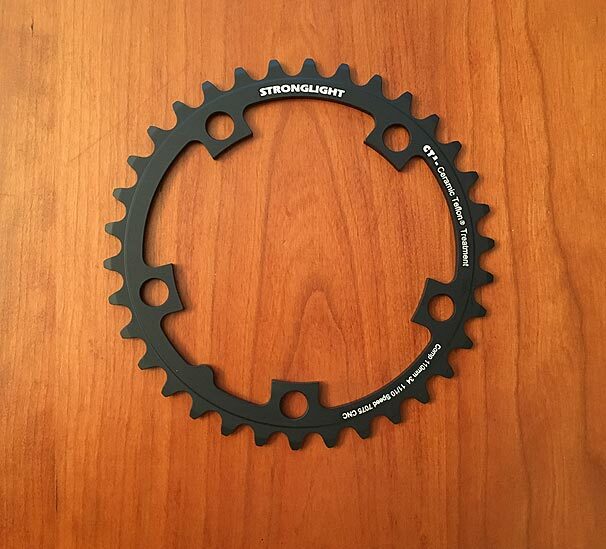 Your local bike shop can also order these chainrings from us since we are a distributor for Stronglight. 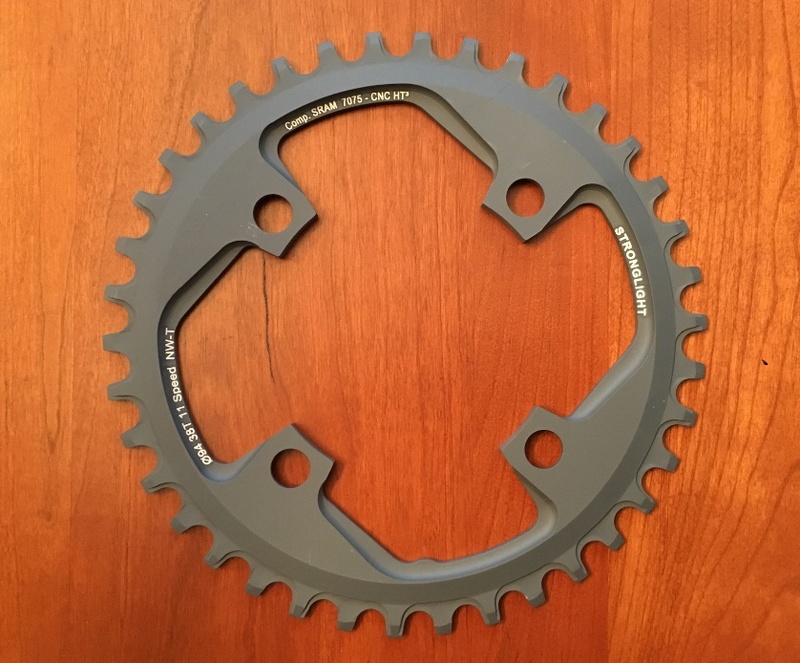 Mixing different brands of chainrings on a crankset can cause problems. 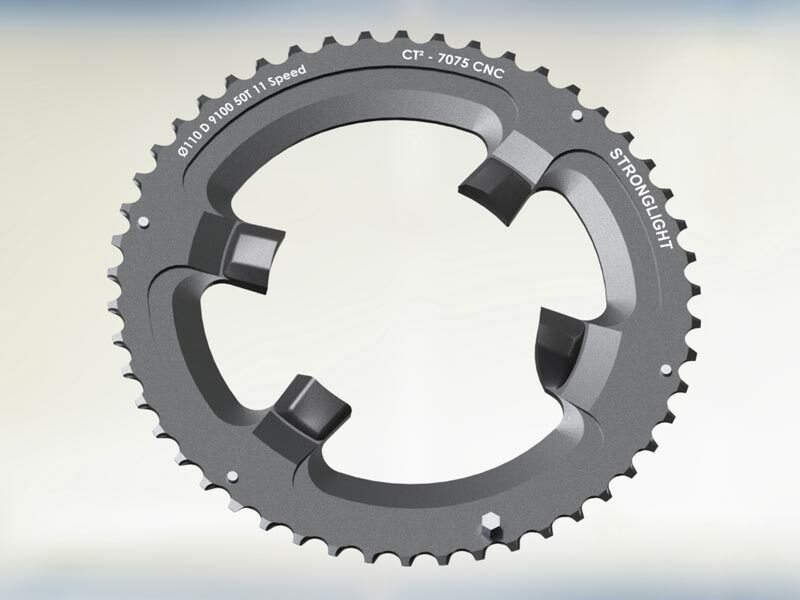 The lateral position of the chainring teeth can vary from brand to brand. 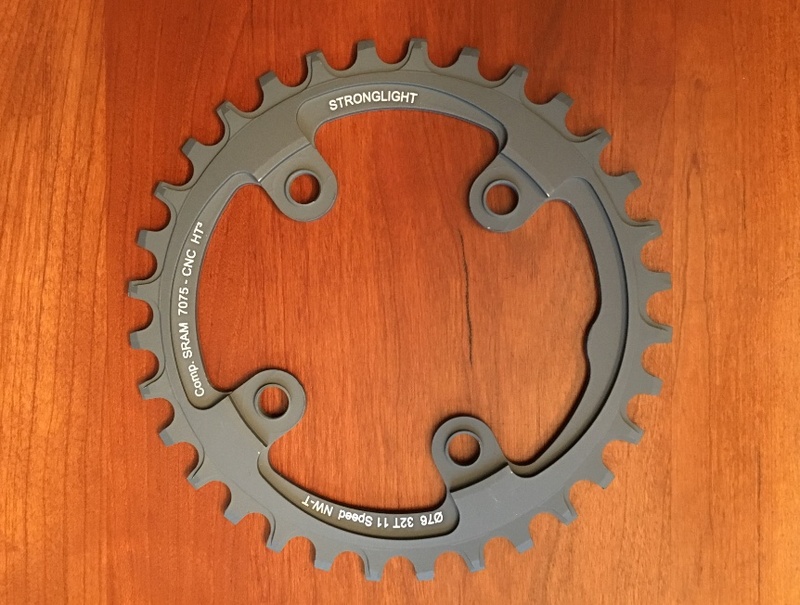 Stronglight generally follows Shimano's lateral spacing so you can replace a Shimano ring with a Stronglight ring and it should work nicely. 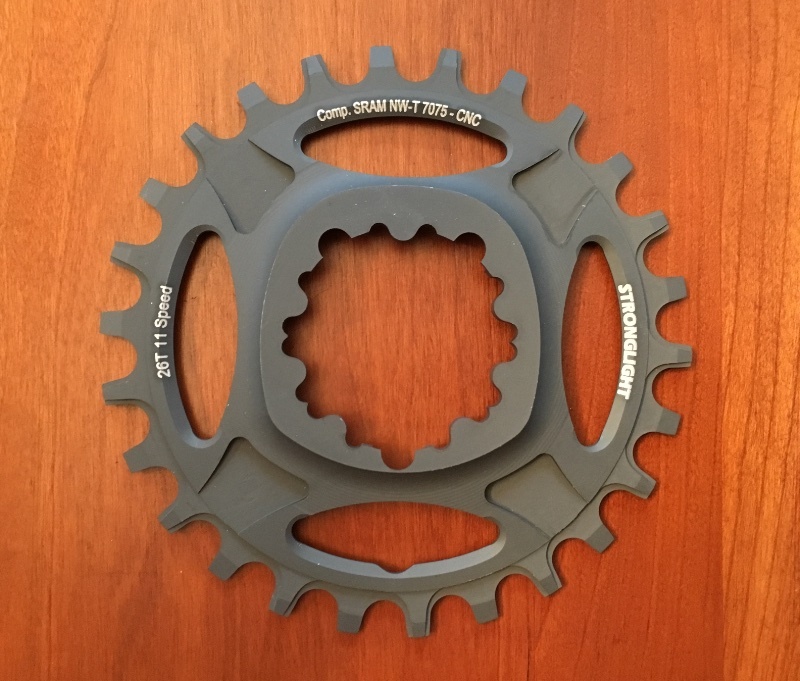 But before installing a new chainring you should check that it matches the lateral position of the old chainring's teeth. 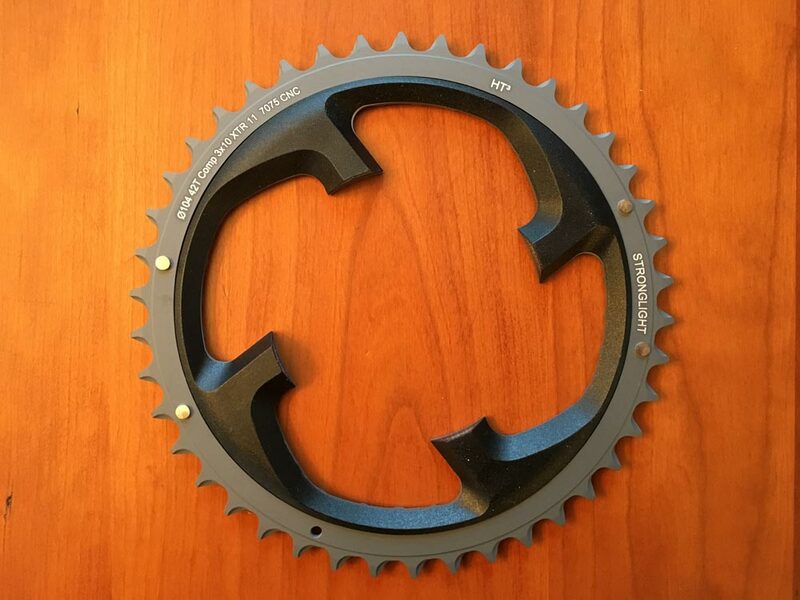 If they don't match, don't install the chainring since we can't accept scratched chainrings for return. 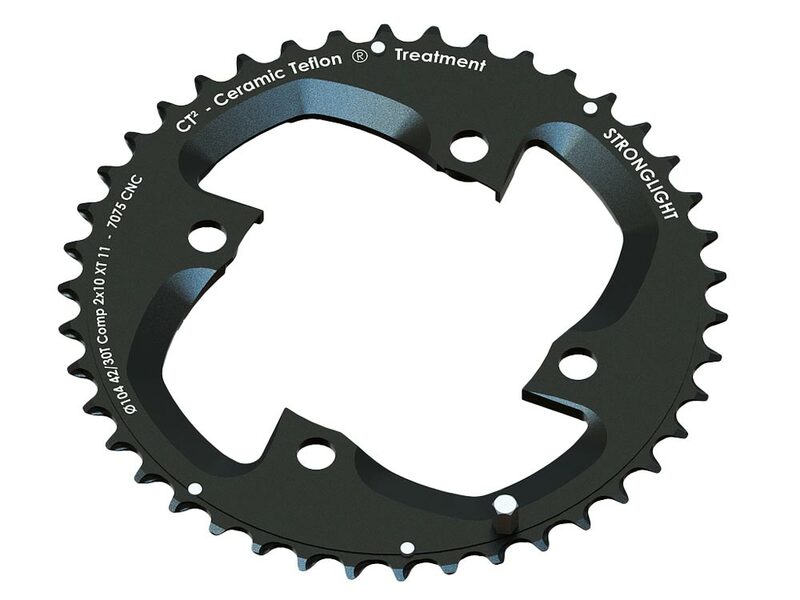 Some triple cranksets have fixed studs to mount the innermost chainring. 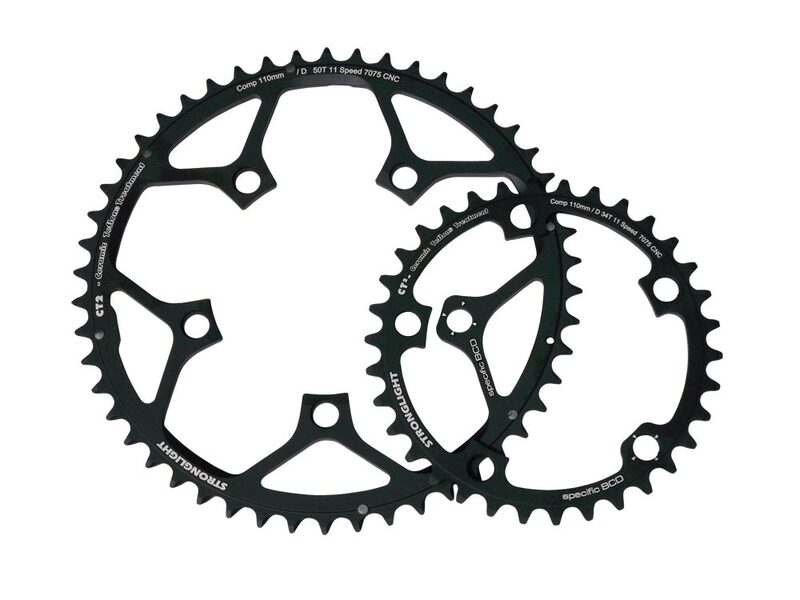 For example, Sugino sells quite a few triple cranksets with 110mm x 74mm bolt circles. 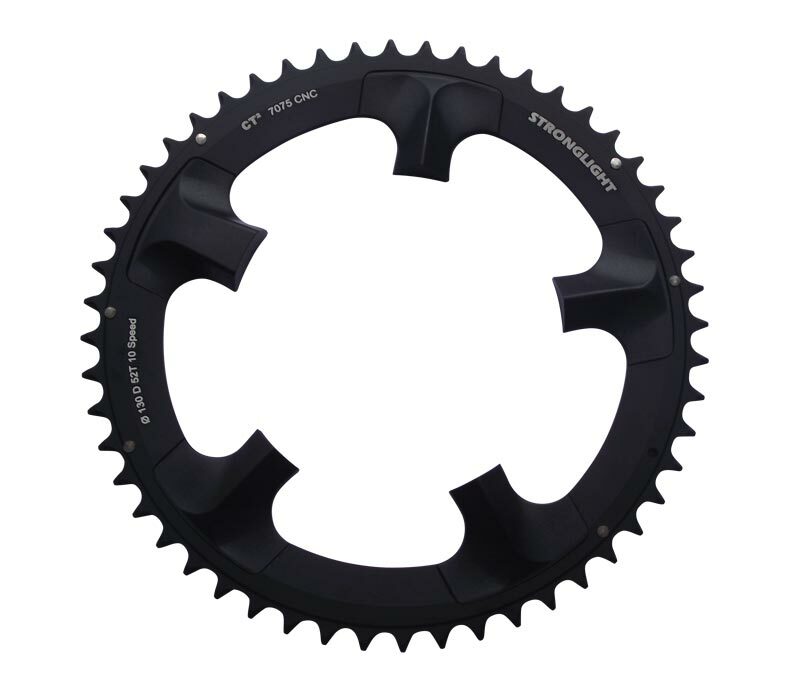 A casual glance at the cranks and Stronglight chainrings in those bolt circles might lead you to think that Stronglight rings will work, but in most cases they don't, because the fixed mounting studs for the inner 74mm bolt circle chainring places the ring too far to the inside for use with Stronglight chainrings. 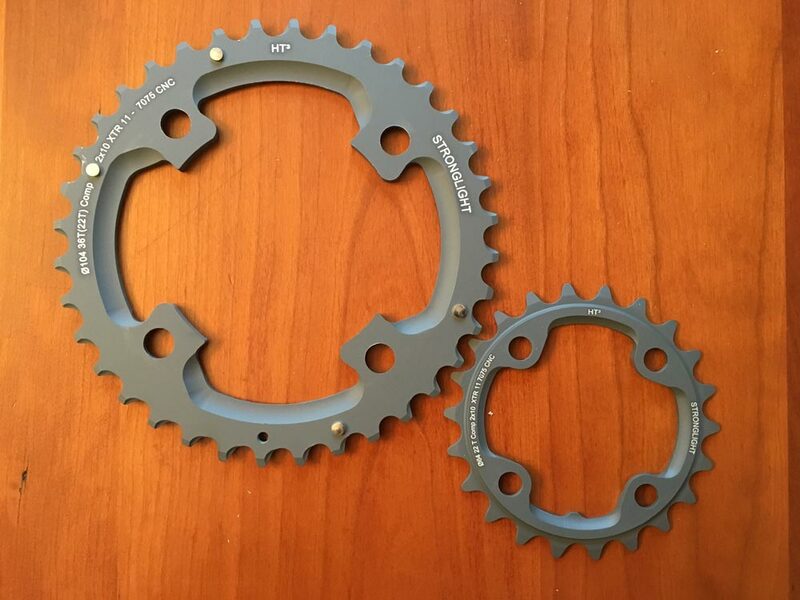 These should only be used in pairs.